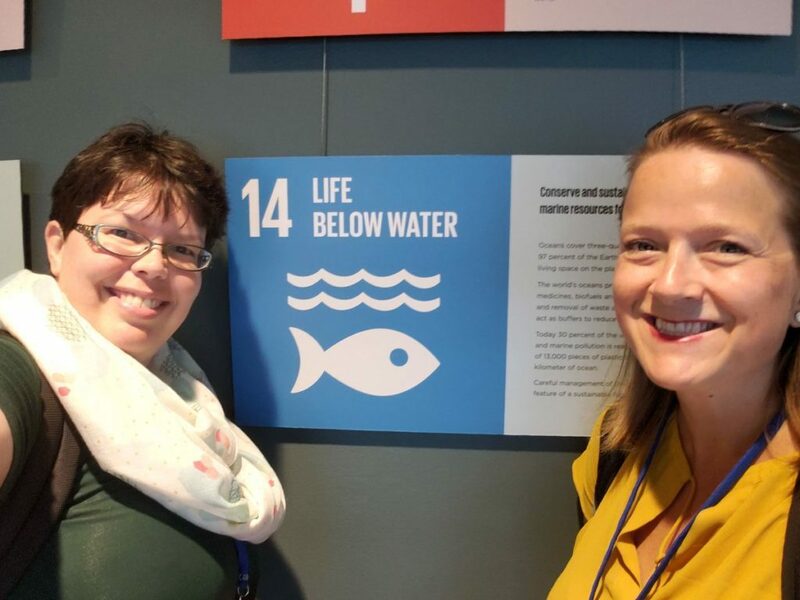 Scientific Advisor to Regimes Dr. Nyman (left) and Dr. Tiller (right) by the SDG14 sign at the UN building in New York City. Dr. Tiller went to New York City for the negotiations for the Biodiversity treaty and along with her colleagues approached the blog Monkey Cage in the Washington Post after the fact and asked if they would be interested in an article about precisely what you could learn from the negotiations. They were interested the grouped worked intensely to reach a very tight deadline for this article to get out in a timely fashion, as soon after the negotiations as possible. This is the link to the MonkeyCage piece called 71 countries are negotiating a new biodiversity treaty. Here’s what you need to know. The title refers to what countries actually spoke and does not reflect how many countries were represented. For example, Algeria spoke on behalf of 54 African nations, so very few other African nations spoke during the meetings, with Togo being a notable exception. In addition, the EU spoke on behalf of its member nations, and Egypt spoke on behalf of G77 and China – representing over 130 nations, and so on.